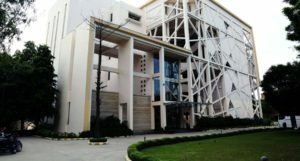 The Institute of Management Technology located in Ghaziabad has now been accepted as a part of the Graduate Management Admission Council (GMAC). The GMAC was established in 1953 to identify the hindrance of standardising admissions and has a handful of business schools as its members. Its membership is given by invitation to the appropriate institutions and that too at the direction on of the Board of Directors. The Institute of Management Technology is adding smoothness in the admission process by being a part of Graduate Management Admission Council (GMAC). Certain criterion is required to be followed so that the membership factor is looked after. The membership is only open to institutions that offer a master’s degree in business administration. GMAC aims towards setting the bar for quality education and is run by the Member of the council who have always been open to ambiguity and flexibility in their operations in order to facilitate a better understanding of management education on a global scale. The emphasis is on the quality of education here. To ensure that the invited schools maintain their commitment of fulfilling the council’s goals, it makes it mandatory for schools to go through a thorough process of applying for the membership to solidify itself as a member of the prestigious council. Furthermore, IMT has also given its word to share class profiles for the council to spot the areas of improvement and get in tune with the varying requirements of the aforementioned council. Both sides have expressed their pleasure towards being a party to something constructive which has a massive potential strengthening the quality of education in the field of management and is confident enough to leave a positive impact on the institution in the long run, not just in terms of its reputation but also how much of an important tool this step will be in ensuring that new ideas and it’s execution have a significant reach on the global platform as well. For the members to ensure that they stand by the council they have to make it mandatory for prospective students to go through a GMAT exam to get through the entire process of enrollment. Moreover, the institution will also have an active role in participating in the governing activities of the country.